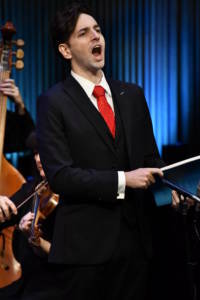 One of the most extraordinary aspects of Handel’s music is the use of “word-painting,” the musical technique of composing music that reflects the literal meaning of a song’s lyrics. For example, ascending scales would accompany lyrics about going up; slow, dark music would accompany lyrics about death. This technique is employed throughout Handel’s most famous work, “Messiah.” Today we will examine the use of word painting in two arias, “Ev’ry Valley,” for Tenor and “But Who May Abide” for Bass. In the very first aria, or air, of the composition — “Every valley shall be exalted,” Handel literally begins the work with powerful word painting. 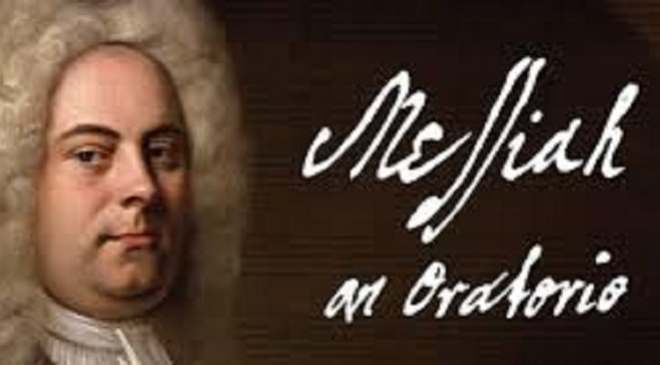 Many a composer would be content with just composing a melody with half the beauty of Handel’s, but he went much further. The text is: “Every valley shall be exalted and every mountain and hill made low; the crooked straight and the rough places plain.” When the tenor sings the word, “crooked,” Handel toggles between two notes; and with “straight,” he writes one long note. The effect wonderfully contrasts uneven with straight. “But who may abide the day of his coming?” contains one of the most dramatic moments in the entire oratorio. 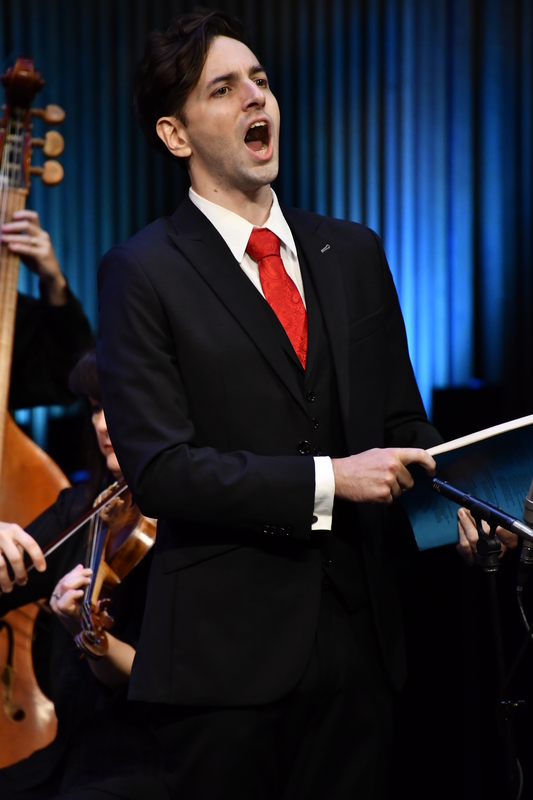 The text from Malachi prophesizes about Judgment Day, asking “who may abide the day of his coming?” This Handel crafts into a mysterious, slow air. But at the text, “for he is like a refiner’s fire,” the music explodes into … well … a fiery exclamation. The acceleration and ferociousness captures perfectly the threat of hell and damnation. The word “shake” uses a melisma that actually sounds like the singer is shaking. And, if you listen really closely you can hear the violins play a run that is reminiscent of the “flames” of the “refiner’s fire” licking at the singer’s feet! 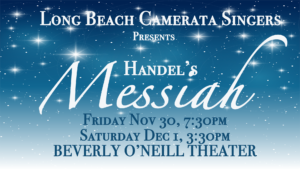 These are just two examples of many in Handel’s Messiah that make it interesting, exciting and accessible. This is why the work has endured since its first performance in 1742. 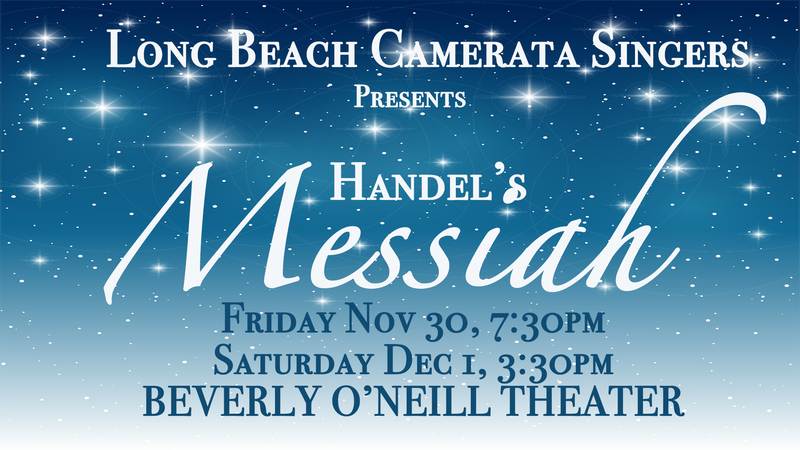 We hope you will join the Long Beach Camerata Singers in their performance of Handel’s Messiah at the Beverly O’Neill Theater in Long Beach on November 30 and December 1, 2018. Click HERE to purchase tickets.